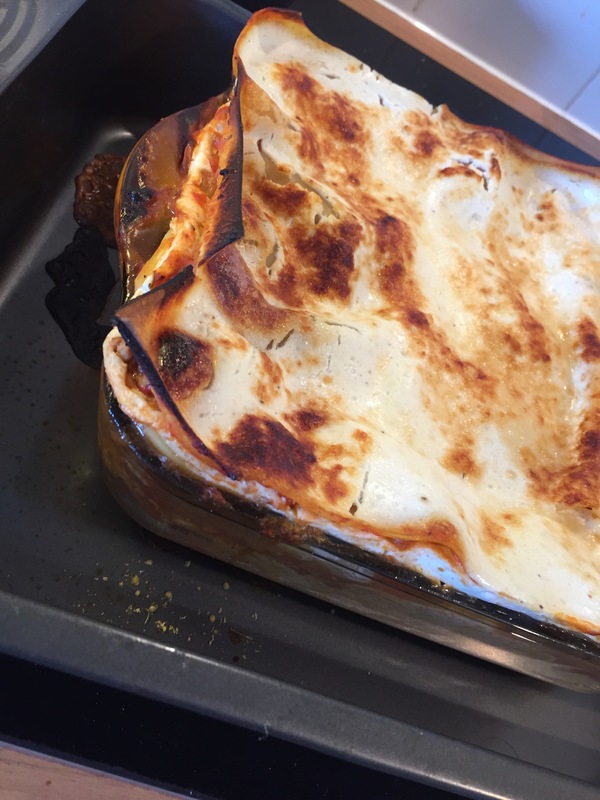 I don’t know about you but I love lasagne. 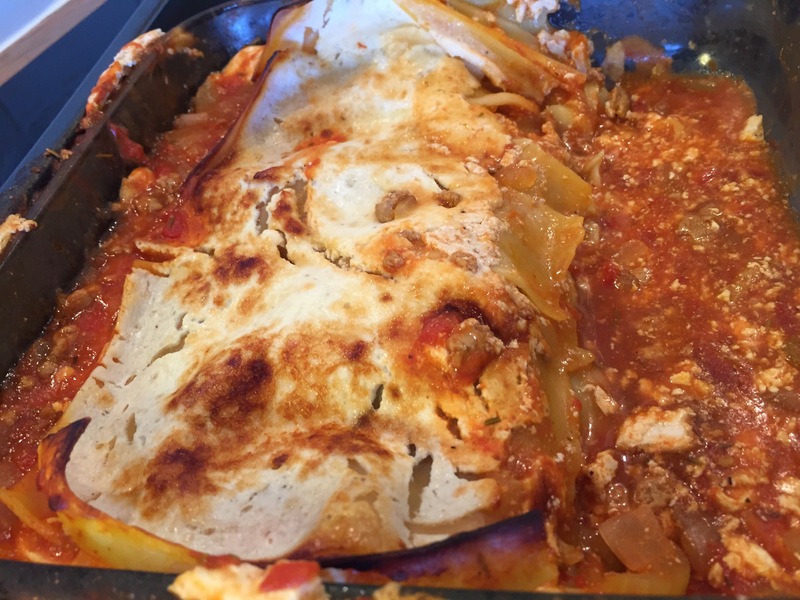 So how can I find a low fat lasagne recipe to die for? Well, I start with one thing. Google. 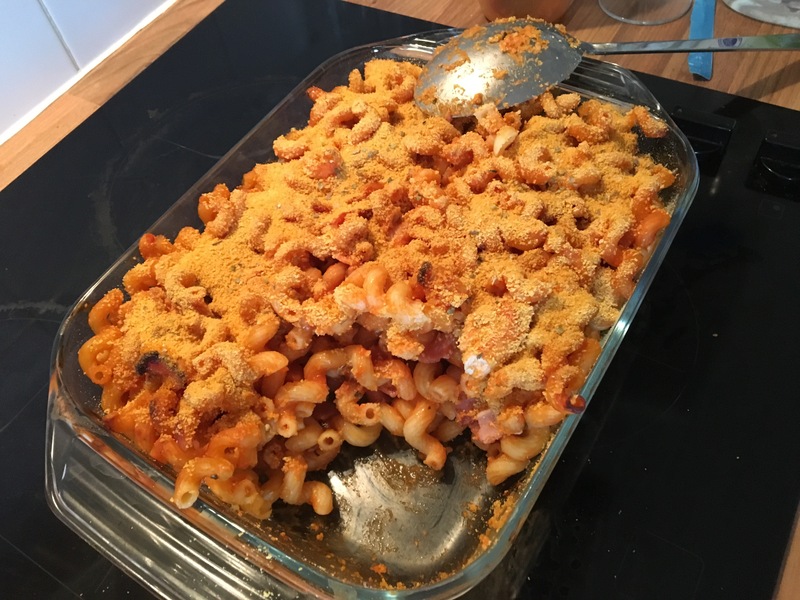 BBC good food recipes always have low fat options if you search for them, and this recipe didn’t disappoint. 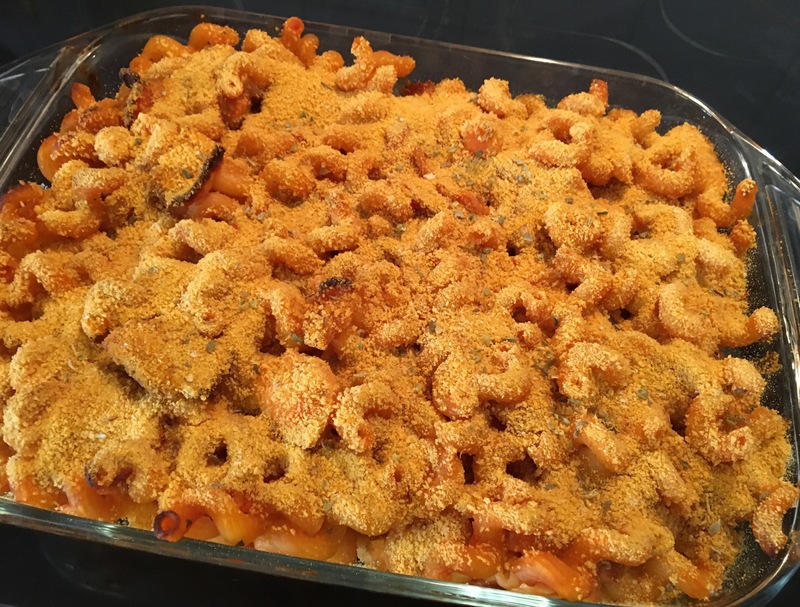 You just may want to use the right sized dish so you don’t get curling, overspill like I did. Look at that beautiful spilling lasagne sauce. So here it it. 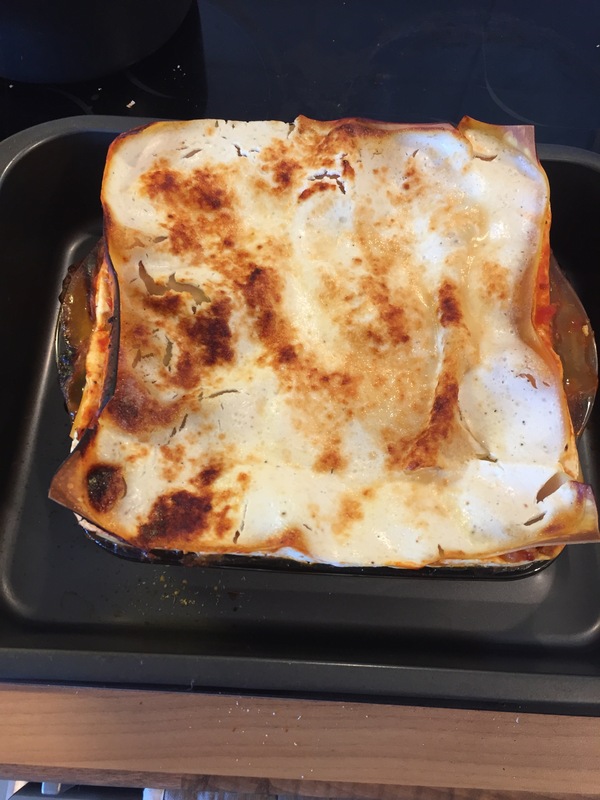 Pork and rosemary lasagne for champions. 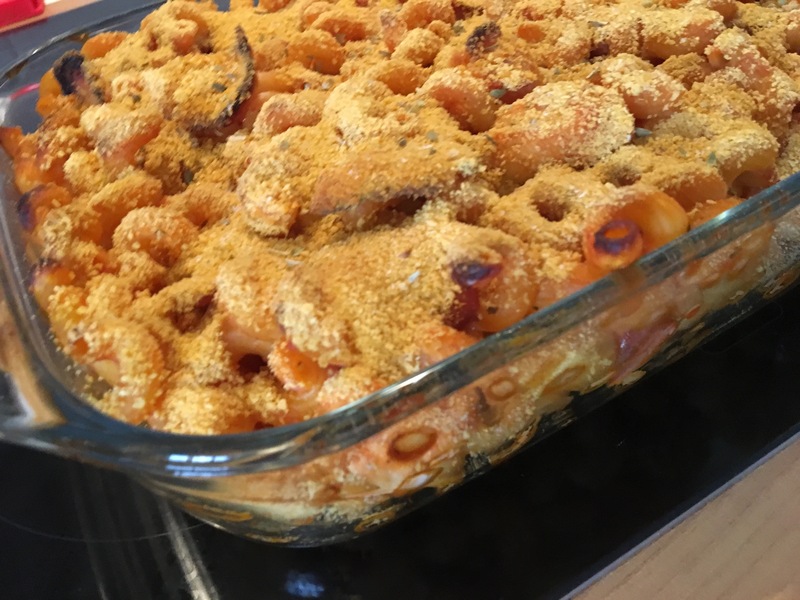 Super easy and super tasty. Now excuse me whilst I go eat some more. Toad in the hole was something I never really grew up with, unlike most families I know. I was introduced to the stuff about a year ago and I’m actually quite a fan. It isn’t the healthiest of meals though. 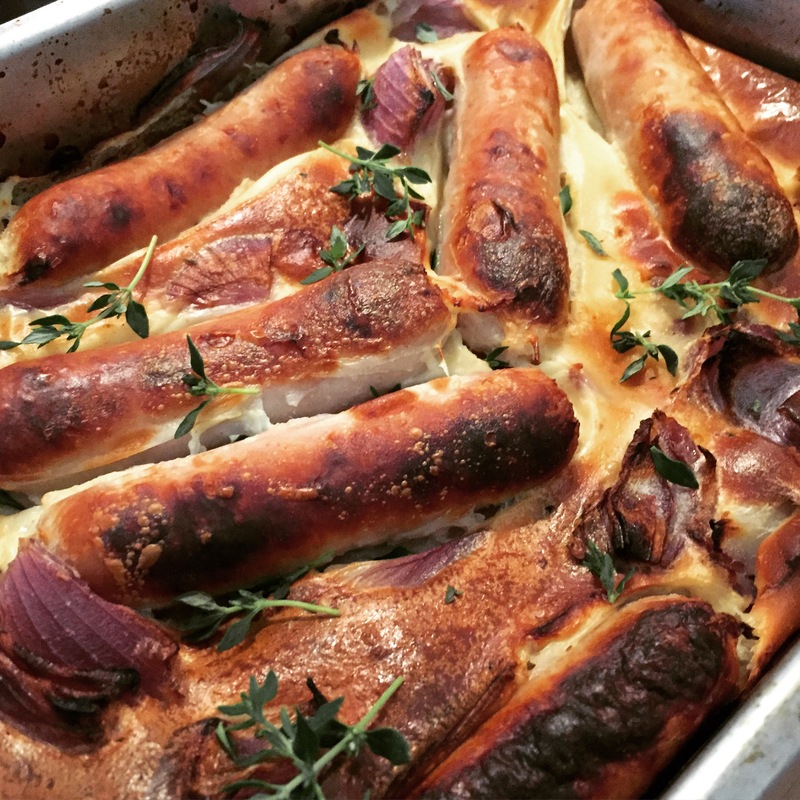 So today I decided to make a low fat version of toad in the hole to die for. The recipe is from BBC Good Food, but I’ve managed to make it lower in fat using Musclefood’s virtually fat free sausages. If you’re not a fan of pork sausages then using venison sausages may be an idea for this dish – and certainly would make it quite a bit more exotic! I feel that, next time, using Musclefood’s fat free chilli and garlic sausages would add tonnes of flavour and, at 0.066g saturated fat per sausage, would be divine for the waistline! Preheat the oven to 200C/Gas 6/fan oven 180C. Tip the onions into a small shallow non-stick tin (about 23x30cm/ 9x12in). Arrange the sausages on top of the onions, then add the oil and roast for 20 minutes. While they are roasting, make the batter. Sift the flour into a bowl, drop the egg in to the centre and beat in the milk a little at a time until it makes a smooth batter. Stir in the mustard and thyme and season. Pour the batter quickly into the tin and return to the oven for 40 minutes until the batter is risen and golden. Serve with steamed carrots and cabbage. 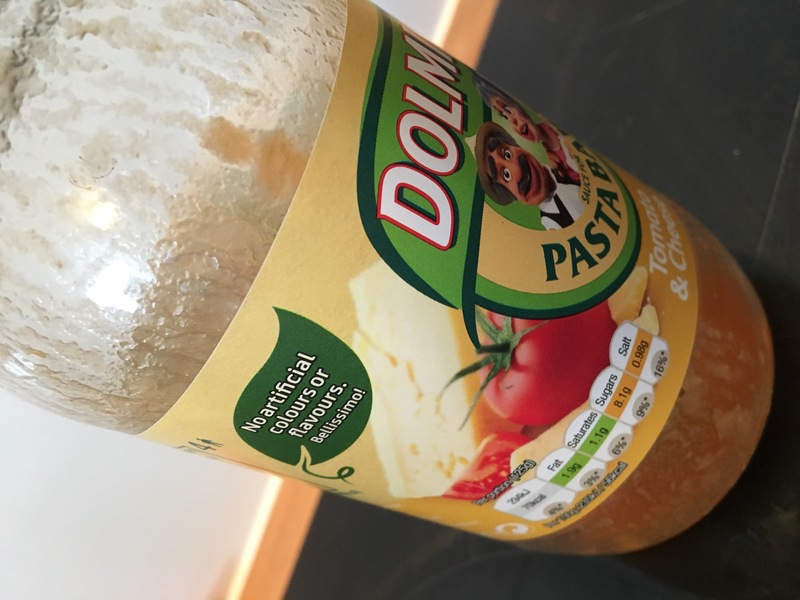 As I said, my version may well have been lower in fat by using the virtually zero fat sausages – but it could be lower in fat STILL by using they’re certified fat free chilli and garlic sausages which I have in my freezer, ready for next time! Why not have a cheeky bit of pork? Something about pork really puzzles me. Is there really such thing as healthy pork? Previously I’ve only ever had pork in greasy sausages, fatty bacon and, as many of you probably admire, crackling. Luckily, I’ve never been a massive fan of crunchy pork fat. But even still, having barbecued pork belly can’t be considered low-fat in any circumstances – not that I really used to care. To my surprise there are (slightly) healthier cuts of pork that can be included in a balanced, healthy diet. This recipe may well be my permanent alternative to bacon. From “Quick cooking for diabetes”, available here. Make a few small cuts in the tenderloin with a sharp knife and push a sliver of garlic into each cut. Rub the pork all over with the seasoned flour. Heat the oil in a frying pan, add the pork and fry for 3-4 minutes over a moderate heat until browned on all sides. Add the cider and simmer until reduced by half. Transfer the pork and juices to a shallow ovenproof dish with the potatoes, pears and thyme. Bake the dish in a preheated oven at 200 degrees celsius (400 degrees Fahrenheit or gas mark 6) for 20 minutes or until the pork is cooked through and the potatoes are tender. Stir the creme fraiche through the cooking juices and season to taste with salt and pepper. Serve with steamed vegetables or a salad. 430 calories; 43g protein; 42g carbohydrate; 12g fat. You may notice that I haven’t added the creme fraiche to my dinner, only because I’m not a massive fan of creamy sauces. This was such a lovely dinner, and this recipe book is filled with recipes that take around 30 minutes to make. Suits anyone who hasn’t enough time to cook gourmet meals in the evening! 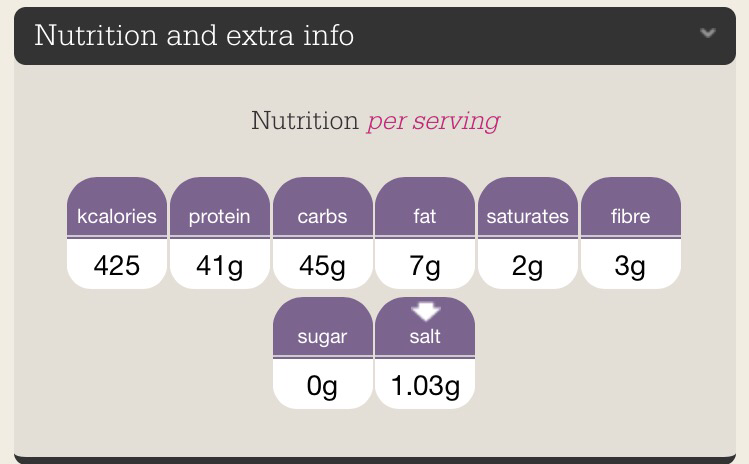 It also gives a GI rating in the nutritional information of the recipe, which is very useful if you’re watching your blood sugars! Pork or no pork, don’t feel like you have to eliminate your favourite foods just because you’re dieting. 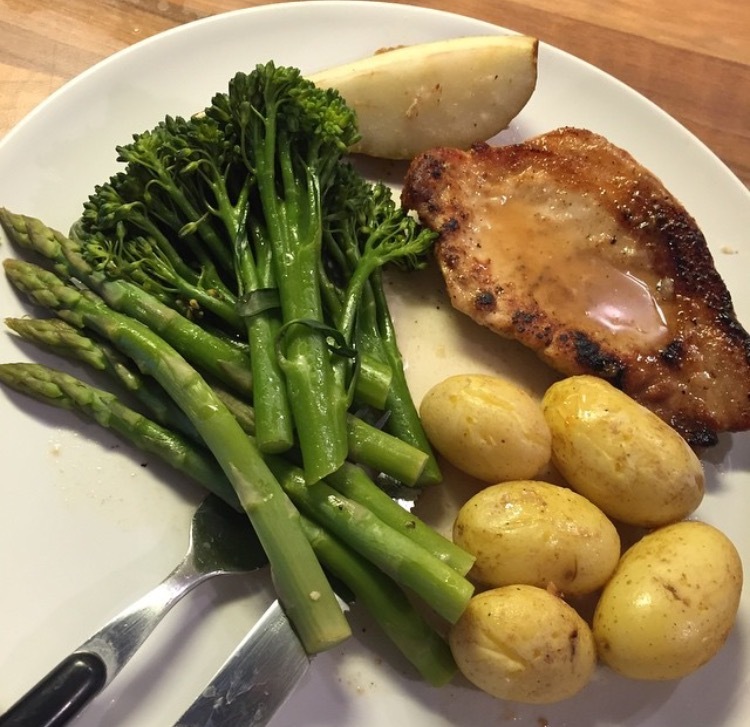 Just find adaptations – healthier options – and soon enough, you’ll forget about the fattening pork belly you’re missing!